When a coupling is used for rough off-road use the Australian Standard degree of articulation (or angles of available movement) may be insufficient. This articulation problem was solved by the introduction of the original AL-KO Off-Road Ball Coupling. Now many years down the track our Australian engineers have incorporated feedback from manufacturers, retailers and caravan owners into a new generation product that provides further improved ease of use and durability for serious off-road use. Engineered by AL-KO in Australia specifically for extreme off-road adventure, the new AL-KO Off-Road Ball Coupling incorporates extreme vertical and horizontal articulation as well as a quick & easy hitching design that requires no pin or hole alignment. It’s made from high quality materials designed to endure serious off road use and provide you with the confidence you need to take your rig in to even the most remote parts of Australia. The new & improved range of low profile Off-Road Ball Couplings are suitable for use with a standard 50mm ball. 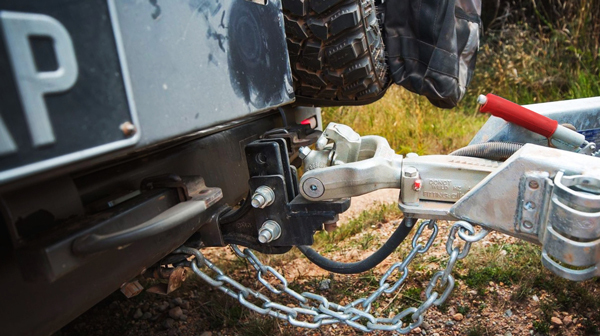 The original AL-KO Off-Road Ball Coupling, with 360 degree articulation and positive towball latching system not only offers the maximum degree of articulation but is a proven design. Before it’s release, the off-road coupling design was tested to 2 million fatigue test cycles, all to give you the confidence you need to rely on it wherever your adventures may take you.